Rev your engines! 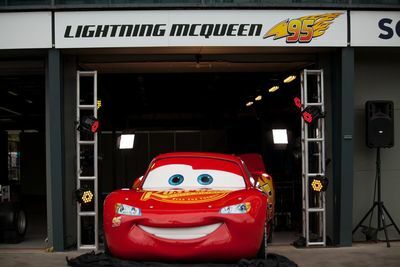 Disney/Pixar Cars Pit Stop and Lightning McQueen are back in Melbourne at the Wilson Security Sandown 500 racecourse this September and your family can win tickets to get in on the action. 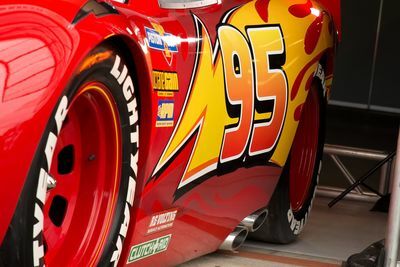 This family friendly attraction celebrates the release of Disney/Pixar’s Cars 3, with the much loved Lightning McQueen (voice of Owen Wilson) returning to the screen. To mark the occasion, Virgin Australia Supercars Championship have joined forces with Disney/Pixar Cars to offer your family the ultimate Cars experience. 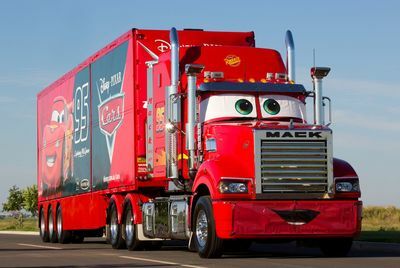 Imagine your child's delight seeing Disney/Pixar Cars and Mack Trucks in 'real life' at this year's Supercars Championship event. 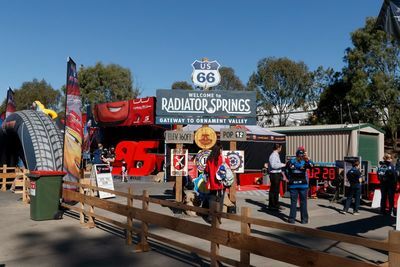 The Disney/Pixar Cars Pit Stop is open 10am to 4pm on Saturday 16 and Sunday 17 September at the Wilson Security Sandown 500. This is your opportunity to see the new-look Lightning McQueen (as seen on Cars 3) plus Mack the Transporter. You couldn't ask for a better backdrop for a family photo! Additional family attractions include the chance to test your speed at the new Crazy Eights Raceway, with races held every 15mins. Test your reflexes on the digital interactive race panel and take a ride down the ever-popular giant, double-lane inflatable slide. Enjoy the fun and excitement of this year's Disney/Pixar Cars Pit Stop at the Wilson Security Sandown 500 part of Virgin Australia Supercars Championship 2017. 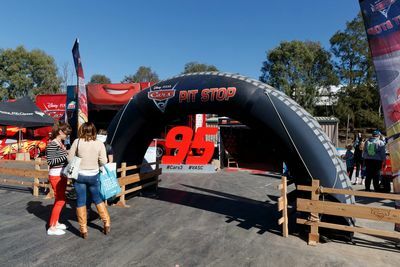 Gain access to the Disney/Pixar Cars Pit Stop on the Saturday and Sunday of the Wilson Security Sandown 500, when you buy an adult admission ticket (kids 12 years and under admitted free of charge with a paying adult). When: 15 - 17 September 2017 (Pit Stop open on Sat 16 & Sun 17 Sept). Speed over to Facebook for a chance to win this fabulous prize. To enter, like the post and tell us why you would like to win the prize in a comment. GIFs are encouraged! Closing date is 5pm AEST Friday 7 September, 2017. On your marks, get set, Kachow!